Charles M. Oxton, Georgia L. Staab, and Eric B. Gans seek to combine the flexibility and client-centered approach to practicing law that only sole practitioners can offer, with the collective wisdom, skill, and capability of a team. 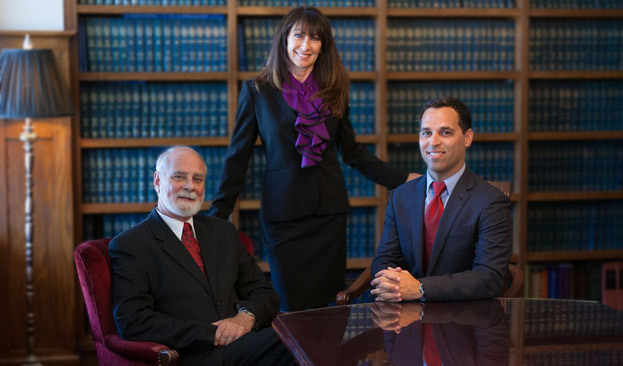 With separate and independent law practices, each attorney is available to clients on an individual basis. However, the attorneys and staff operate in a close collaborative setting, sharing a unified office structure and a consultative “team” approach to resolving difficult legal issues in a responsible and confidential manner. What started more than twenty years ago as a collaboration between Charles M. Oxton and W. Carl Gans, lives on today. With Georgia L. Staab opening her practice in the Granada a decade ago, followed more recently by Eric B. Gans, OxtonStaabGans Attorneys represents a two-decade history of delivering exceptional results for clients.